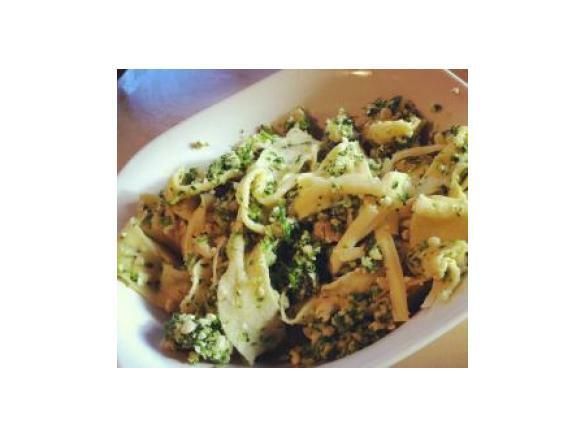 Hand cut pappardelle with Broccoli and Cashew nut Pesto by alysemae86. 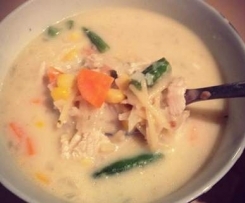 A Thermomix <sup>®</sup> recipe in the category Pasta & rice dishes on www.recipecommunity.com.au, the Thermomix <sup>®</sup> Community. 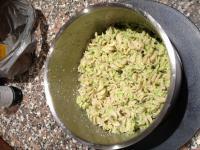 Put washed Broccoli into the Thermomix bowl with 700grams of water and cook 5mins/100c/ . Once this is done drain broccoli and add all other ingredients(except pasta dough). 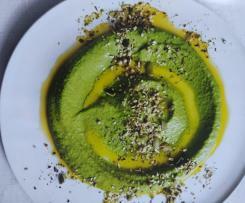 Blitz at speed 8/5secs and check for desired consistancy (should look similar to regular pesto). Just a warning I love garlic and this is definitely a strong flavour in the pesto, so adjust if your not too keen. Put on a pot of water to boil, once boiling add salt. After you dough has rested for 30mins divide into two portions and roll out in a pasta machine starting at the lowest seting and working up to thickness 8. Once both portions have been rolled out dust with flour and roll each portion into a tube (like fruit roll ups) and using a knife with a flat blade cut into the desired thickness (around 2cm wide) and unroll each noddle. Continue unti all the pasta dough is cut into pappardelle. add your noodles to the boiling water, they take roughly 3mins to cook if they are very fresh. 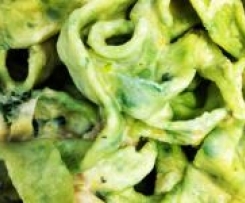 Once the pasta is drained add the pesto to the pappardelle and toss until the pasta is coated nicely. Serve with shaved parmasen on top. Submitted by nik_m_84 on 30. August 2018 - 17:57. Only made the pesto - yummo! Didn't have any pine nuts so I used macadamia nuts. Added a bit more oil at the end and heated it slightly to stir through some pasta. Submitted by mhort on 24. May 2016 - 20:16. 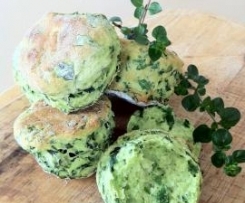 Fabulously easy and super tasty recipe. Thank you! Submitted by Jammquinn on 8. July 2015 - 17:43. Fabulous! 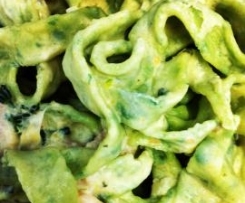 I didn't make my own pasta either, but the pesto is divine (I threw some shredded chicken in to bulk it out). I added a few chilli flakes too - yum. Will use this as a dip recipe in future as well as with pasta for a meal. Submitted by Sid3 on 12. February 2015 - 22:31.